October 24: Arrival of New Fresh Water Fish. October 24: Arrival of New Marine Water Fish. 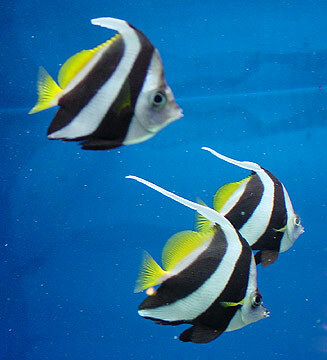 There are many variations to this fish and it has a reputation of being easy to keep. Unfortunately this has often led to its demise as they are sometimes kept in unsuitable tanks. As with any fish, they require optimum water conditions. The Fantail goldfish is the western form of the Ryukin that possesses an egg-shaped body, a high dorsal fin, a long quadruple caudal fin, and no shoulder hump. The food for this fish needs to be low in protein but high in carbo-hydrates, this is why it is often best to use specialist goldfish flakes or pellets to feed this fish. It is a voracious eater so the feeds should be kept down to what the fish can eat in two minutes. This should be done twice daily. Shelled peas, some blanched leaf vegetables and bloodworms should also be included in the diet. It is often easier to breed these fish in ponds rather than aquariums but both are possible. The female will lay her sticky eggs on plants and they should hatch in 48-72 hours. The fry are very small when newly hatched but will grow in size rapidly. Their coloration will remain brown like their ancestors, but after 12 months the adult coloration should show through. Goldfish are peaceful fish. 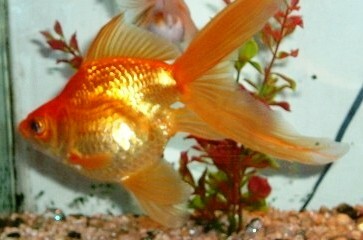 Goldfishs should not be combined with fancy goldfish, as the fancy goldfish will have trouble competing for food. 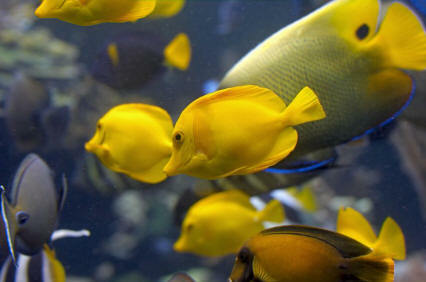 If goldfish are combined with other freshwater tropical fish, it is best to limit this to catfish. Fancy Goldfish can also be combined with danios, ottos, white clouds, barbs, kuhli loaches and weather loaches. 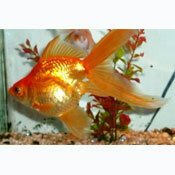 Goldfish can be long-lived in captivity, with 10 to 25 years not uncommon; there is one report of a fish living to the age of 43.